KitMonsters – Suzuki Omnichord. The music makers’ guide to making music. 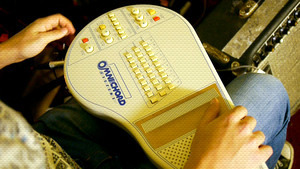 First released in 1981 the Omnichord was designed to be easy to play “for the hidden musician in all of us” by pressing a chord button and strumming on the strumplate for a guitar/keyboard/drum sound. It has six drum patterns and you can have a walking bass line. It was used in edcuation and also by Brian Eno, David Bowie, The Human League and Damon Albarn of The Gorillaz. 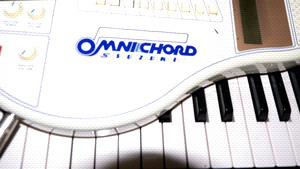 It was updated and reborn as the QChord in 2001.